Two Australian scientists (and brothers) frustrated with the short life of culinary herbs develop the ‘Eva Fresh’ technology which extends the shelf life of fresh herbs, without the need of cooking or heating. This created the Gourmet Garden range. 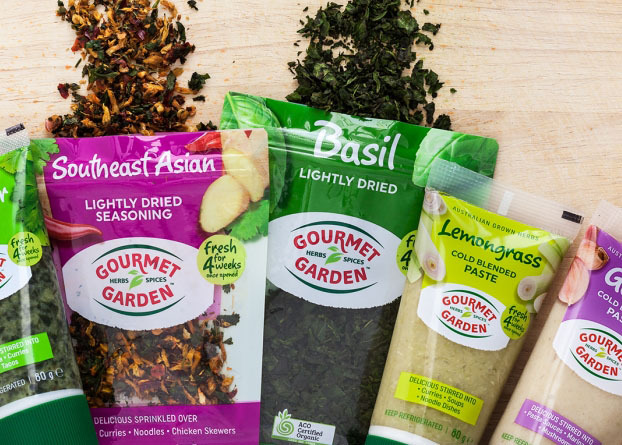 Gourmet Garden are fresh herbs which have been lightly dried to stay fresh for 4 weeks once opened. Gourmet Garden’s new Finishing Drizzles are perfect to drizzle over meat,protein and tofu. They add sensational flavour, simply open and pour.